You are here: Home / Archives for All Podcasts / How Was Your Weekend? On this episode of How Was Your Weekend, Wendy and Brian finally talk about a topic they’ve been noodling on for nearly a year, setting goals. 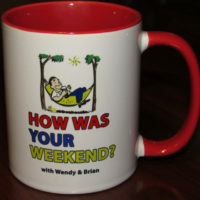 On this episode of How Was Your Weekend, Wendy and Brian catch up after a short break. Wendy describes her new adventures and Brian discusses his first few weeks as a foster parent, including his first Father’s Day. How Was Your Weekend 034 – Wendy gave up social media for Lent!? How!? On this episode of How Was Your Weekend, Wendy and Brian talk about Wendy’s recent cessation of Social Media during Lent. How did she do it?! Find out! The guys also talk about Brian’s love/hate relationship with social media, and social interactions in general. How Was Your Weekend 033 – Wendy’s back in NC for her birthday! On this episode of How Was Your Weekend, Wendy and Brian talk about some of their favorite TV shows! Super Force FTW! On this episode of How Was Your Weekend, Wendy and Brian talk about concerts! They discuss some of their favorites, some of their least favorites, and some concert regrets. RIP Tom Petty. 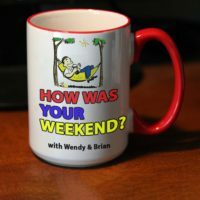 On this episode of How Was Your Weekend, Wendy and Brian talk about pets, and the role they have in your life. Whether they’re family members or substitute children, pets play an increasingly important role in the lives of people throughout the world! On this episode of How Was Your Weekend, Wendy and Brian talk about crazy family members. The old adage is true, you can pick your friends, but you can’t pick your family. 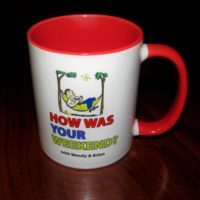 On this episode of How Was Your Weekend, Wendy and Brian talk about dealing with abrasive people! They also discuss strategies on how to avoid being an abrasive person yourself! 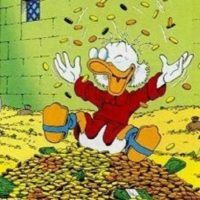 How Was Your Weekend 027: Plans for 2018! On this episode of How Was Your Weekend, Wendy and Brian asked listeners to chime in on topics they’d like to hear about in 2018!